When your appliances start to perform poorly or don’t function as efficiently as they should, it can be extremely frustrating. Not only that, but it can cost you money and time as you stress over trying to get them working again. Whether your oven won’t heat or your washing machine won’t clean, Mr. Appliance® of Rockingham County can diagnosis the problem and provide a viable solution. Our expert technicians know how to repair and service nearly any type of appliance, including old and new models. We handle appliance repairs in Portsmouth, Exeter, Hampton, and the surrounding areas. 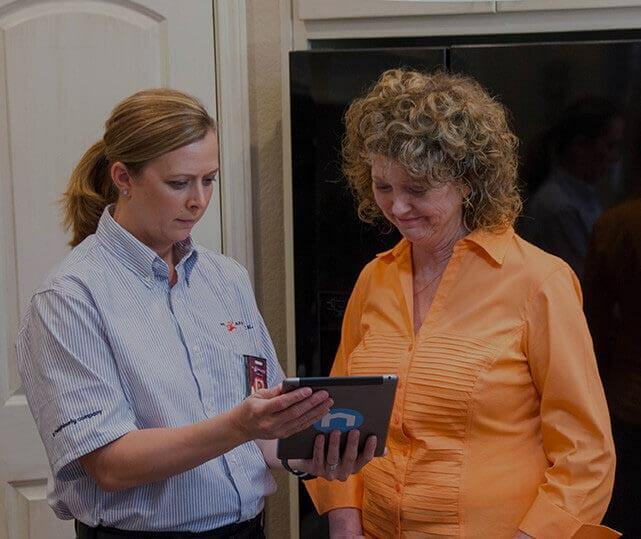 If you are a homeowner who is burdened by your appliances, make sure to call on our team today for fast, reliable service. Call (844) 278-2914 today! We take pride in the quality of service we deliver. We know how important your appliances can be to your daily routine, which is why we strive to get them running smoothly again in no time. Kitchen: Ice machine, dishwasher, refrigerator, oven, freezer, etc. Laundry room: Dryer vent, washing machine, dryer, etc. Whether the appliance needs major repairs or minor part replacement, we get the job done quickly and efficiently. Our goal is to restore convenience and comfort to your home! We do this by offering flexible appointment times that can be adjusted to your schedule, accurate pricing quotes, and flat rate charges. In addition, our team will never charge overtime, even if a project takes longer than expected. What else do you get from Mr. Appliance? We guarantee all the parts and labor we perform for a full year. You can always rely on us to arrive on time, in uniform, ready to get to work.